Will a Stationary Bike Help Me Lose Weight in My Thighs? Engaging in physical activity is an important part of a weight-loss effort. You will do yourself a favor whether you choose Zumba or jogging. The speed of your weight loss depends on the intensity of your chosen activity and the quality of your diet. That being said, and all other things being equal, moderate jogging will help you lose weight faster than Zumba. Zumba is a dance fitness craze that claims millions of followers around the world. It combines fun, fast-paced Latin music with easy-to-follow steps. You can find a group class to attend or try it at home with DVDs or video games. You can expect to burn about 594 calories in 60 minutes of Zumba if you weigh 160 pounds, according to the website HealthStatus. Jogging is an activity that doesn't require special classes or equipment -- just hit the road by yourself or with a friend. According to an article in the September 2011 issue of "Oxygen," you can reach your weight-loss goal faster through jogging, with an hourly burn rate at a mere 5 mph of 584 to 872 calories. Jogging edges out Zumba in terms of calories burned, but that does not necessarily mean it will lead to faster weight loss for you. 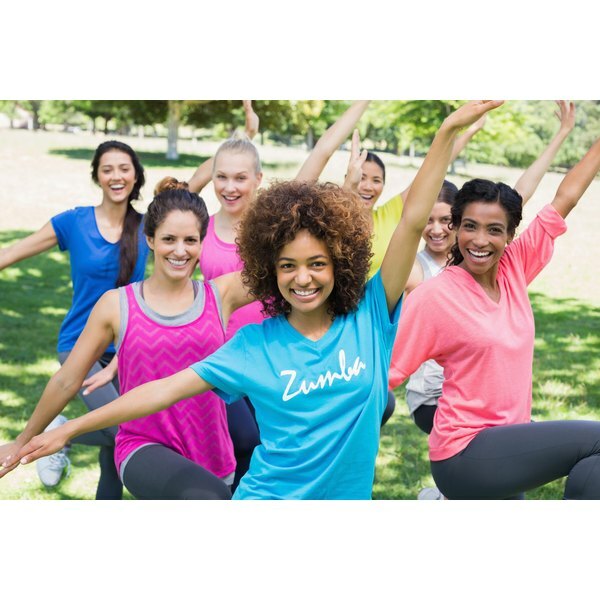 The at-home DVDs and games aside, Zumba is usually done in a group setting that participants thrive in. Jogging can be done in the company of others but is generally an introspective activity. Take your personality and mood into consideration when choosing the weight-loss activity for you. Whether you choose jogging, Zumba or both, staying committed and motivated are key factors for success. Zumba instructor Angela Pyles says, "Zumba is what one puts into it. Do it every day and you will see great results." The same sentiment holds true for jogging. Adding intensity and frequency to either activity increases the calories you burn and leads to fast weight loss. Don't forget to eat a nutritionally balanced diet -- you need fuel for your workout. How Much Weight Can I Lose With Billy Blanks?